Another often asked question is a ‘How to change SPListItem Created/Modified date’. Such task occur when you importing documents to the SharePoint from another source when you want to save authorship and time information. To update Created and Modified date you can use SPListItem indexer to modify infomation and call Update() to save changes. 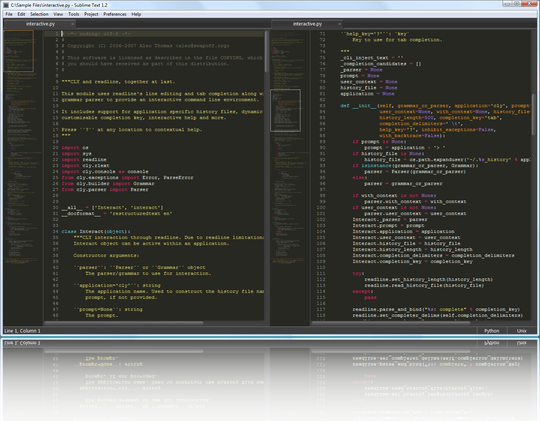 When I saw a Sublime Text 2 with their features at first time – I loved that. One of my favorite feature is a minimap. 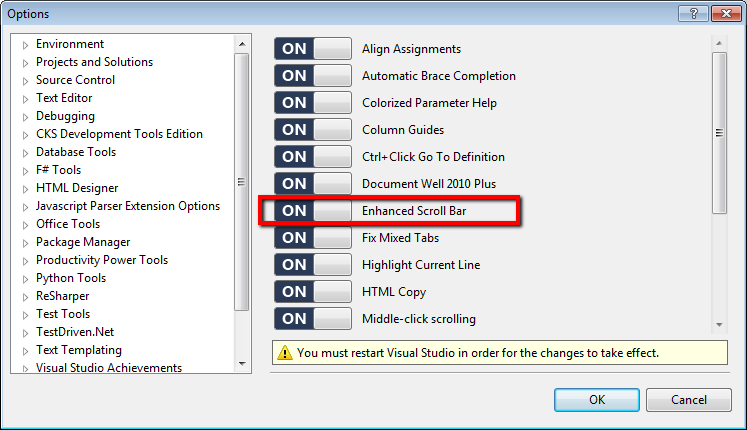 It is a simple but very powerful idea to replace scrollbar with minimized code map. Using this feature very easy navigate directly to where you want. I wanna this feature for Visual Studio for sure. Fortunately, it is already there. It is a part of the Productivity Power Tools. 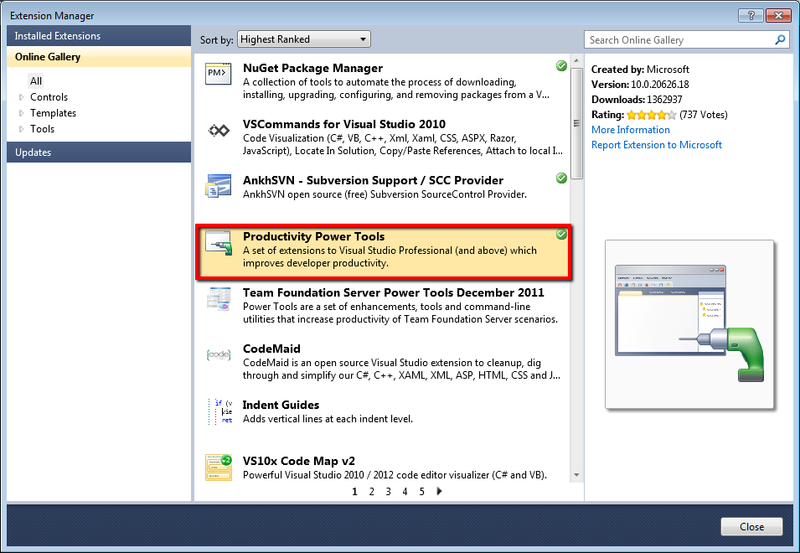 First of all we need to setup Productivity Power Tool using Visual Studio Extension Manager. We need to enable this feature, because it is disabled by default. Open Tool -> Options -> Productivity Power Tools, enable Enhanced Scroll Bar and restart your Visual Studio. 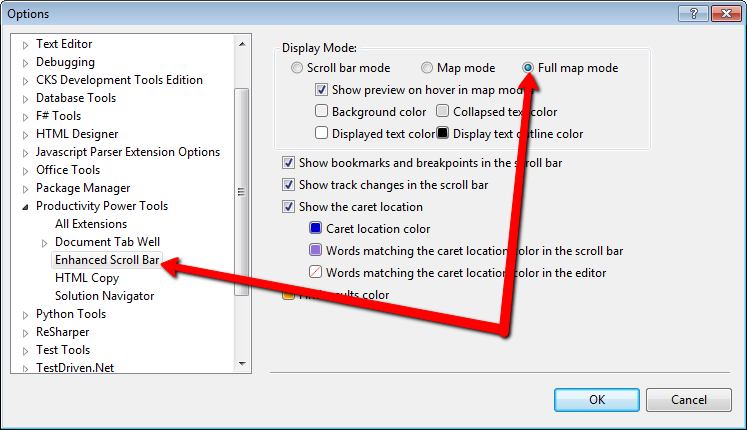 Choose ‘Full map mode‘ in the Productivity Power Tools->Enchanced Scroll Bar section. 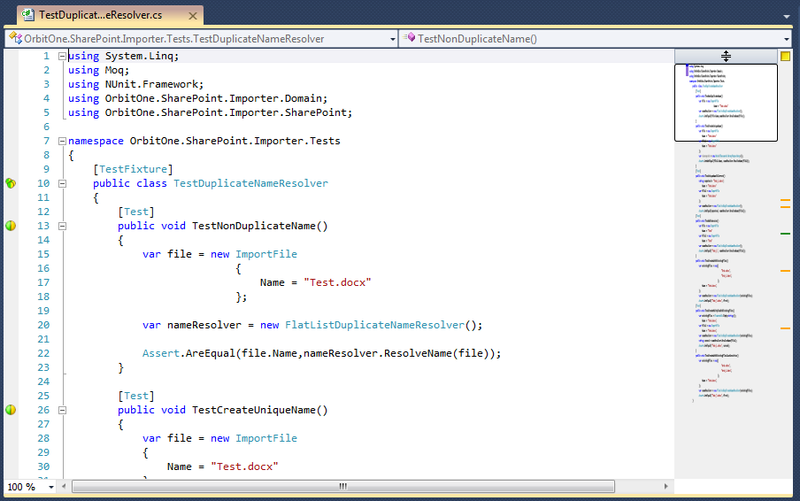 You should see minimaps in your Visual Studio now. Enjoy it!!! People a faced with challenges trying to install F# interactive plugin for Notepad++ (example). I am not an exception, going through all of this I want to share my experience. Extract dll from achieve and copy it to Notepad++\plugins\ folder. On the my Win7 64bit machine it is c:\Program Files (x86)\Notepad++\plugins\. Open or re-open you Notepad++ application. Go to Plugins\F# Interactive\Options menu item. Specify Binary Path to fsi.exe file. Save you changes. Now it should work. It is also very nice to have a F# syntax highlighting. Download xml file with user definition language for Notepad++ from here or here. Replace ext=”fs” to ext=”fs fsi fsx” in the file.